Their biographies and tributes to them will appear in a special issue of the MetNews, and they will be feted at a black-tie dinner on Jan. 29, the newspaper’s co-publisher, Jo-Ann W. Grace, said yesterday. The dinner, to be held at a private club in downtown Los Angeles—the rules of which preclude mention of it other than in invitations—will mark the 28th annual holding of the event. Former Los Angeles County District Attorney Robert H. Philibosian will serve as emcee, for the 20th time. 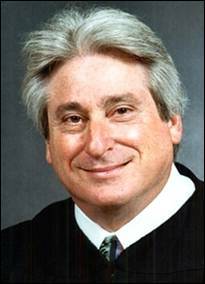 Matthai, who served as Los Angeles County Bar Association president in 2005, also led the Association of Southern California Defense Counsel, in 2001; California Defense Counsel, 2007; and the Los Angeles chapter of the American Board of Trial Advocates, 2008. She was the recipient last year of LACBA’s highest honor, the Shattuck-Price Outstanding Lawyer Award. Matthai has also received Loyola Law School Champion of Justice Award, 2008; the Women Lawyers Association of Los Angeles Ernestine Stahlhut Award, 2010; Cal-ABOTA’s Trial Lawyer of the Year Award, 2013; and the Association of Southern California Defense Counsel’s Hall of Fame Award, earlier this year. The lawyer was on the Judicial Council from 2010-13. Her law degree is from Hastings College of Law. Nash was appointed to the Los Angeles Municipal Court in 1985 by Gov. George Deukmejian, and was elevated by the same governor to the Superior Court four years later. He was assigned to the Juvenile Court in 1990 and became the presiding judge in 1995. He held that post continuously, until he left office in January, 2015 (having opted not to seek reelection), except for two years (1999-2001) when he was the supervising judge of the Dependency Court. Nash, like Matthai, has been a member of the Judicial Council. His stint was from 2003-06. He has received numerous state and national awards based on his work in the juvenile justice system. Nash received his law degree from Loyola University School of Law. Highlighting his tenure as a deputy attorney general from 1974-85 was his role as prosecutor, along with Roger Boren (now a Court of Appeal presiding justice), of the Hillside Stranglers. The prosecutors gained convictions in a case in which the district attorney had agreed to a dismissal. Tacha has been dean of the law school at Pepperdine since 2011. She was previously a judge of the Tenth U.S. Circuit Court of Appeals, appointed by President Ronald Reagan in 1986. She was chief judge from 2001-07. A native of Kansas, Tacha was, at the time of her appointment to the federal bench, an associate chancellor at the University of Kansas. She came to that institution in 1974 as an associate professor of law, later becoming a professor, then associate dean. From 1990-94, and again from 2001-05, Tacha chaired the Judicial Conference of the United States. 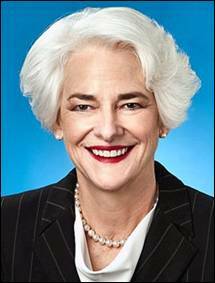 She was national president of the American Inns of Court Foundation from 2004-08; was chair of the American Bar Association’s Judicial Division from 1995-96; and chaired the ABA’s Appellate Judges Conference from 1992-93. 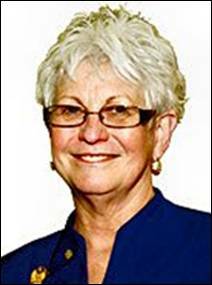 The first “person of the year,” in 1983, was Court of Appeal Presiding Justice Mildred L. Lillie, since deceased. She and the next four persons so denominated—California Supreme Court Justice Stanley Mosk, Court of Appeal Presiding Justice Lester Wm. Roth, Los Angeles Superior Court Judge Kathleen Parker (all deceased) and then-Los Angeles Superior Court Judge Billy G. Mills (now retired)—received tributes only in a special section of the newspaper. The annual dinners began in 1988. Then-Los Angeles Superior Court Executive Officer Frank Zolin (now deceased) was the honoree, and former Los Angeles Superior Court Presiding Judge Joseph Wapner, then star of television’s “People’s Court,” was the emcee. “Persons of the year” in the years to follow have included California Chief Justice Tani Cantil-Sakauye and then-Chief Justice Ronald George; Deukmejian; then-Attorney General Dan Lungren; then-State Bar Presidents Charles Vogel, Karen Nobumoto, John Van de Kamp and Patrick M. Kelly; present or former Los Angeles County Bar Association Presidents (in addition to Vogel and Kelly) John J. Collins (now deceased), Gretchen Nelson, and David Pasternak; and Los Angeles County District Attorney Jackie Lacey, then-District Attorney Steve Cooley, and former District Attorney Philibosian. Also among those honored were persons who were then-presiding justices of the Court of Appeal, or jurists who were later to be elevated to that post. They were (in addition to Lillie and Roth) Vaino Spencer, Joan Dempsey Klein, Robert Mallano (all now retired), Norman Epstein, Paul A. Turner, and Lee Edmon. Los Angeles Superior Court presiding judges and assistant presiding judges who were feted (in addition to Mallano and Edmon) were Victor Chavez, William Maclaughlin, J. Stephen Czuleger, Charles W. McCoy, and David Wesley. In all, there have been 51 honorees.